Learn how to create a Zapier integration with CallAction. Activate a Zapier Trigger when a new contact is create or new activity received. 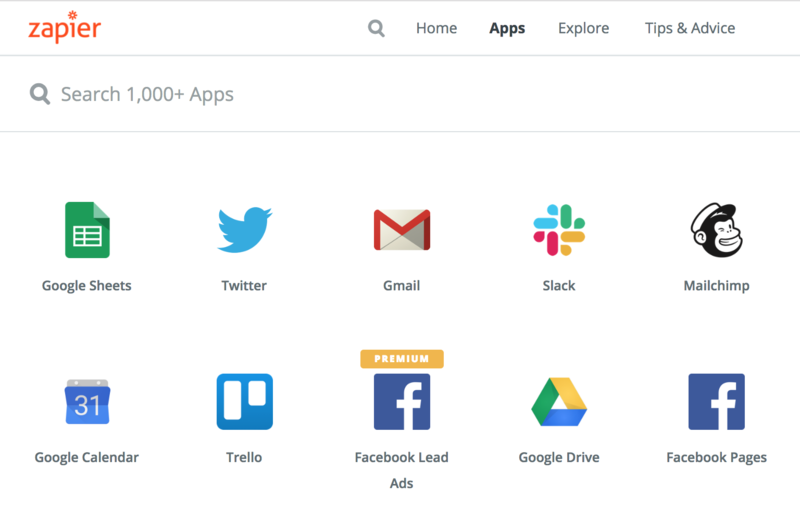 CallAction now connects to over 1,000 web apps using Zapier. You can use Zapier to create new contacts and sync activities of existing contacts to external web apps to streamline your workflows. We are currently in private beta for the moment but you can freely use the system. Click to get your Zapier private invite. Click on the link above to get started creating an app. Active: Turns on Zapier integration at account level. Collect All: Default is OFF, if ON this collects data across all CallAction numbers to push to Zapier. Text Format: push content to Zap as plain text or HTML. 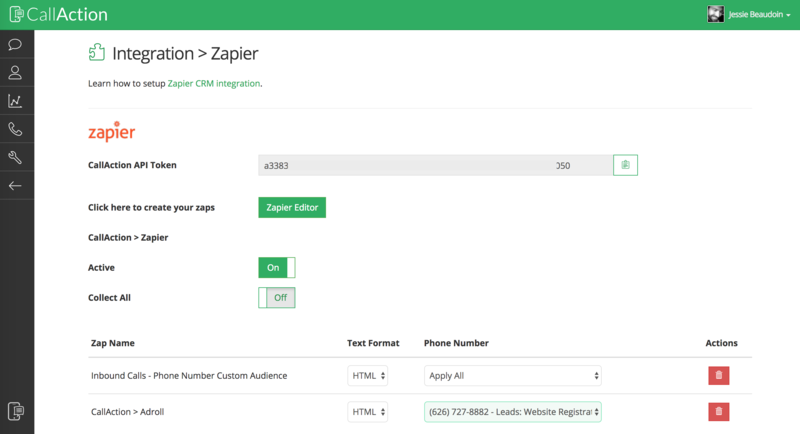 Phone Number: use drop down to assign a Zapier Zap to a specific CallAction number. Note: Apply All setting will automatically set the Zapier to trigger across all numbers with Zapier integration turned ON. Start building a Zapier Zap. You can build powerful Zaps based on two Zapier triggers. New Contact: starts with a new contact is created in CallAction via inbound call, text or parsed email lead. New Activity: starts with an existing contact is updated in CallAction. These two primary activities give you lots of flexibility in addition to our email options. The New Contact trigger is similar to our lead export email while New Activity is similar to our lead broadcast email. The CallAction + Zapier integration is designed to give you the ultimate flexibility when building Zaps. CallAction automatically imports all of your created Zaps. You can quickly assign your Zapier Zaps across all phone numbers in your account or specific Zap on a specific number. You can can also turn ON / OFF a Zapier API integration at the number level under your manage call settings. Lastly, you can control the output of the Zapier Zap to render as plan text or HTML for even more flexibility. We will be building out Zapier API templates for you to use to streamline your workflows. You can see some ideas of Zapier workflows here. 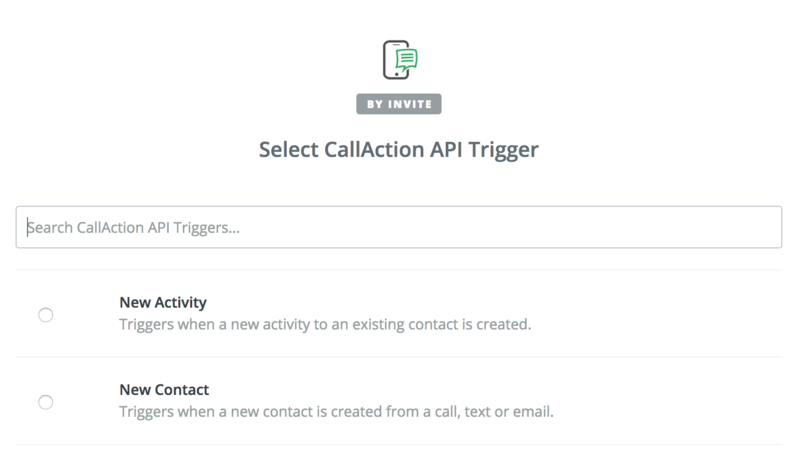 CallAction is an intelligent marketing automation platform engineered to integrate with as many software solutions possible between our native API integrations and this Zapier API. CallAction captures, engages and tracks leads from the three primary forms of communication, calls, emails and text messages. Combine CallAction with Zapier for 1,000 of workflows to streamline your business. Take 10 minutes to signup for your free trial account now.